Fisher Mechanical Inc. is the number one heating contractor to call on when you need any type of service including radiant heating. The workmanship we deliver is known for being superior yet there is more to it than that. We are completely dedicated to ensuring each customer has a first-rate experience which is why we stand by our “On Time Or It's Free” Guarantee, among other things. For installation, repairs and replacement, you can count on us to get the job done, while also meeting and exceeding your expectations. 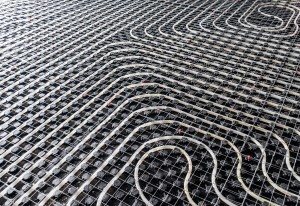 Radiant heating is more energy-efficient. That means you can expect lower utility costs and can feel good about a household that is more Eco-friendly. This type of heating provides a quality heat. It does not send forced air into the room, it heats the elements in the room, similar to the sun. That makes for more effective heating, as well. This is also ideal for anyone concerned with the dirt, dust and other airborne debris that forced air systems tend to kick up in air ducts. This is especially critical for homes where anyone suffers from asthma, allergies or other respiratory-related health ailments.